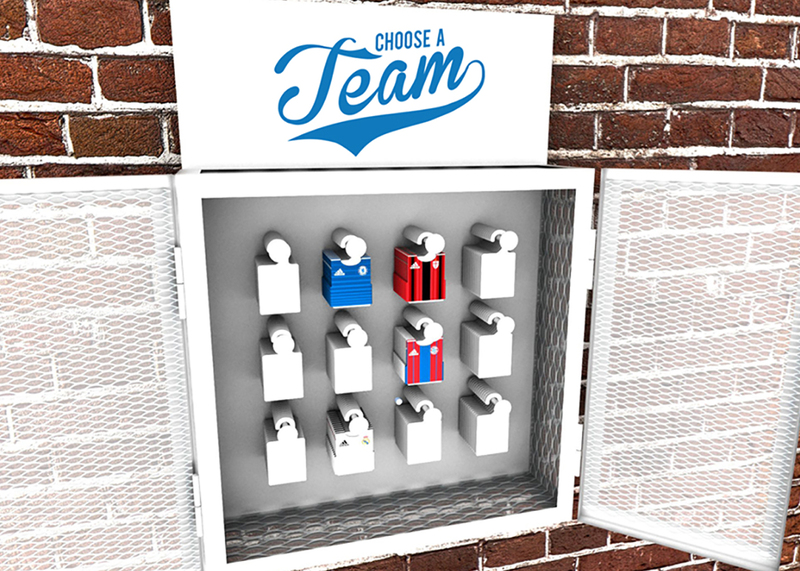 Saying “no to modern football” That Design Team has created a project where the consumer arrives and comes across a genuine arcade football game from the 90’s with a machine illustrated by a graphic artist. 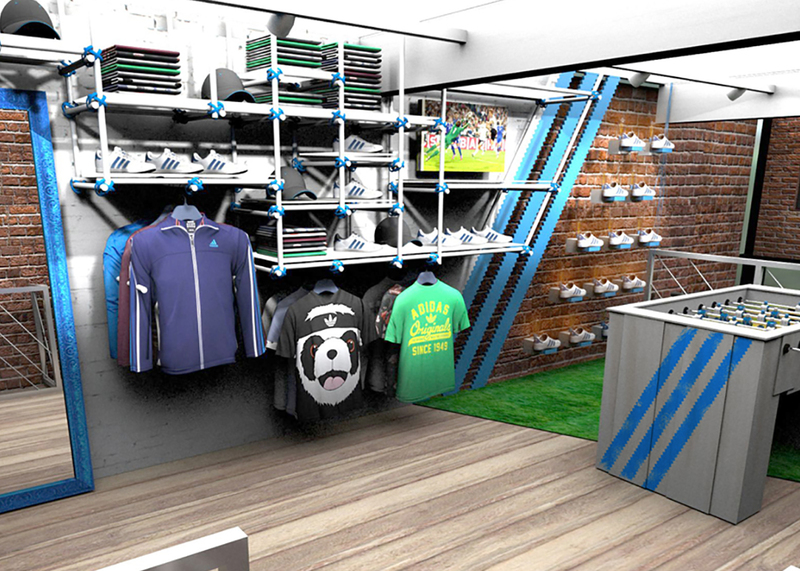 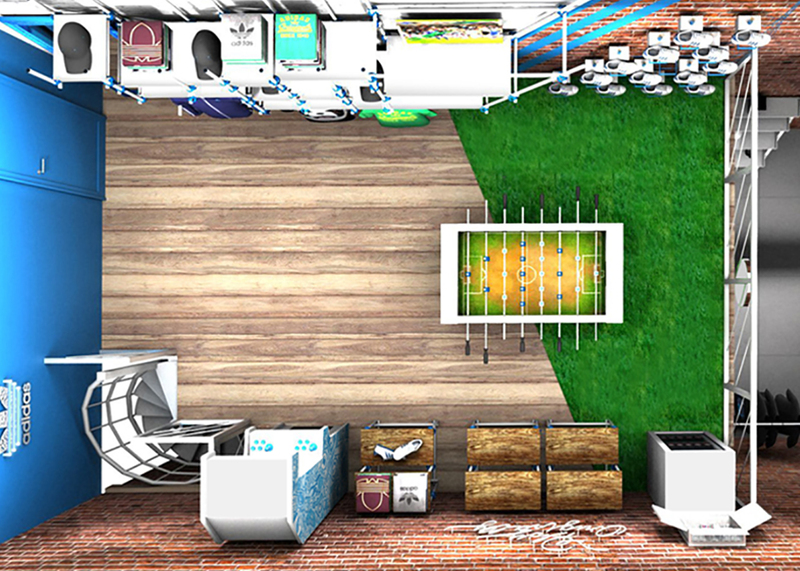 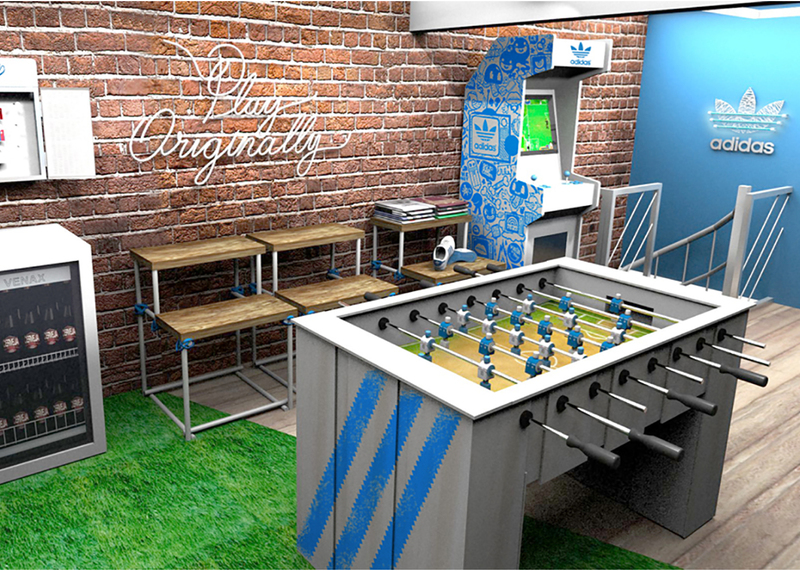 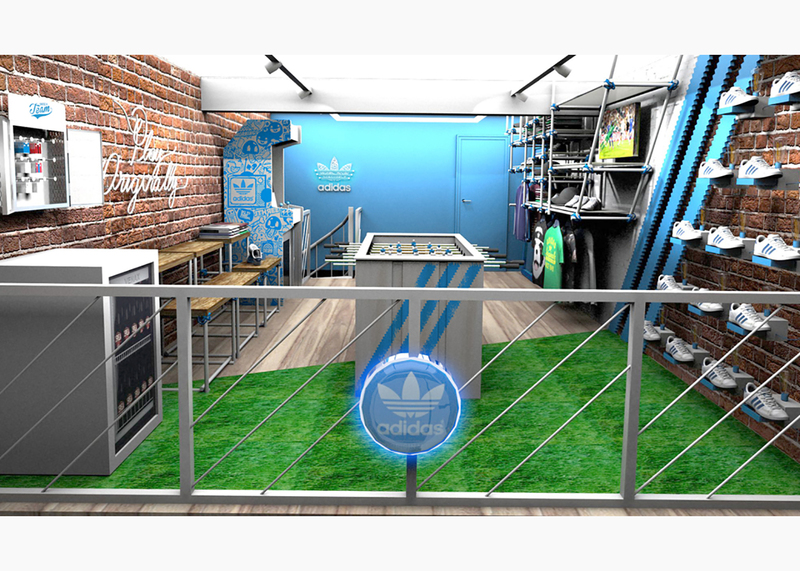 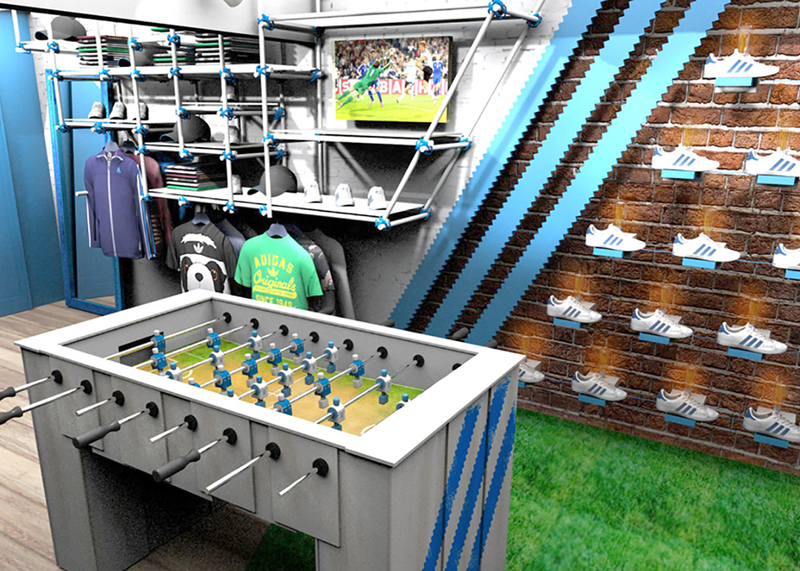 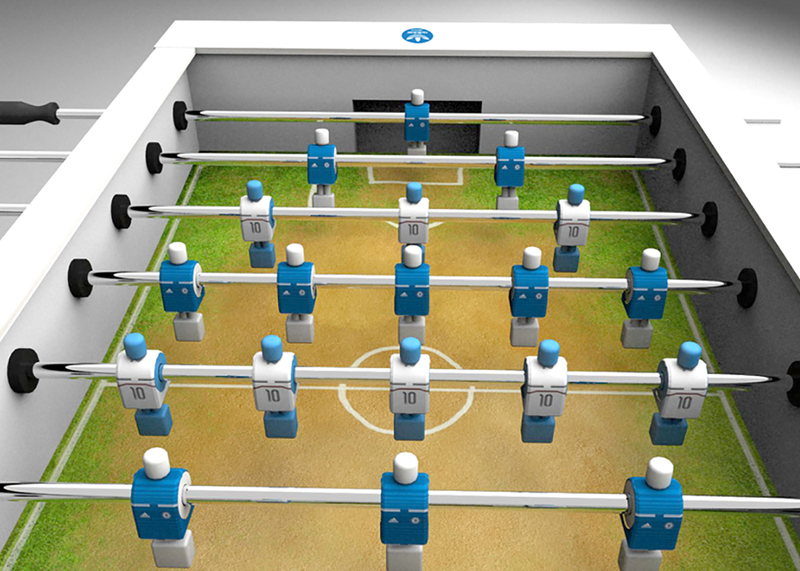 At the center, organizing the space, a foosball table allows the shopper to change the players’ shirts – made of fabric, reproducing the European clubwear sponsored by Adidas. 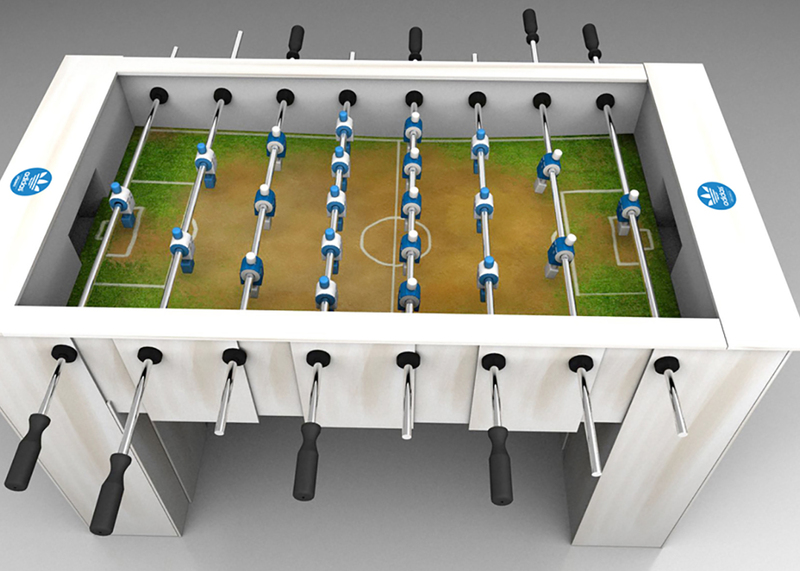 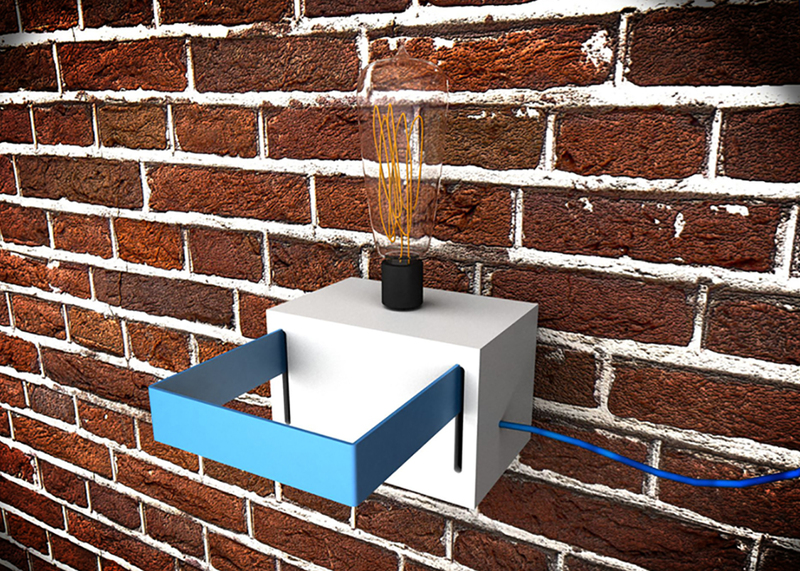 The table is all lined with wood that resembles an enclosure that was originally “street.” In addition, consumers can still watch football matches (on TV) or pebolin “bleachers” that also work for product displays. 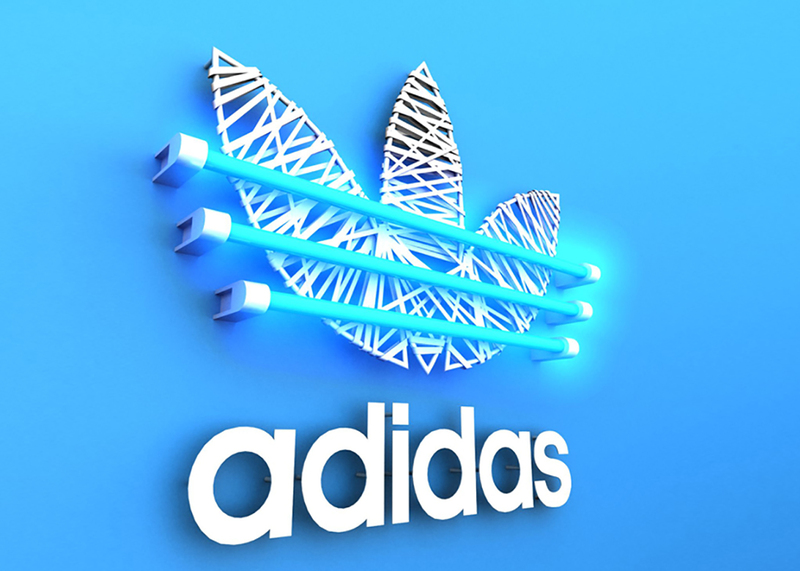 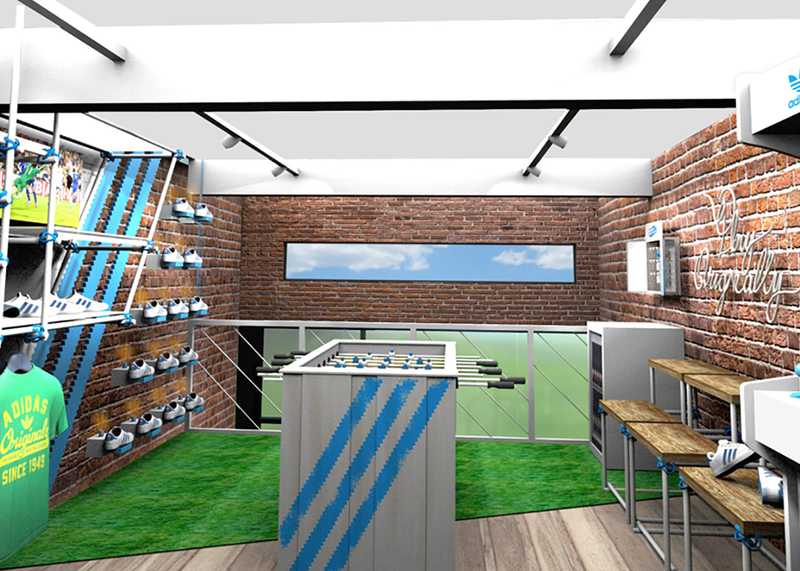 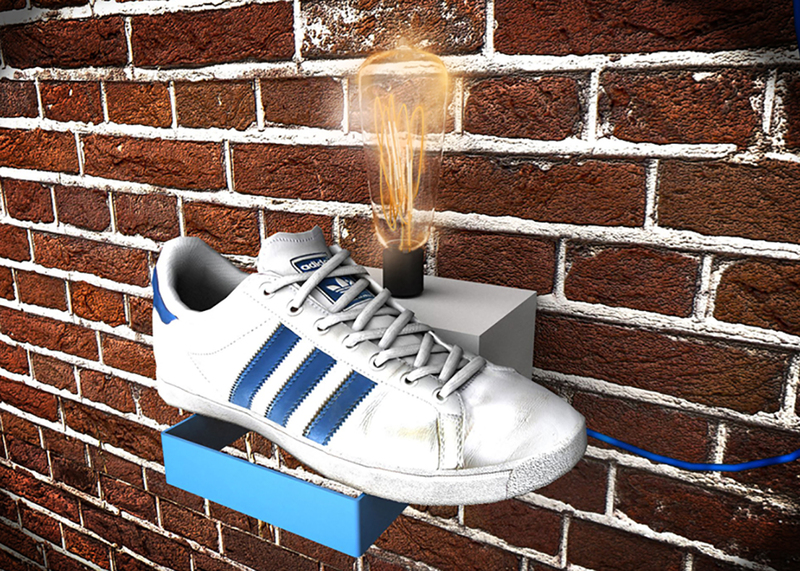 Adidas Originals products are stuck in a sort of suspended macaw where the metal tubes seem tied by the brand’s own blue shoelaces while the brand sneakers are displayed on an interactive display that turns off the filament lamp each time you pull out one of the models The result was a completely interactive and DNA-aligned environment for both brands.